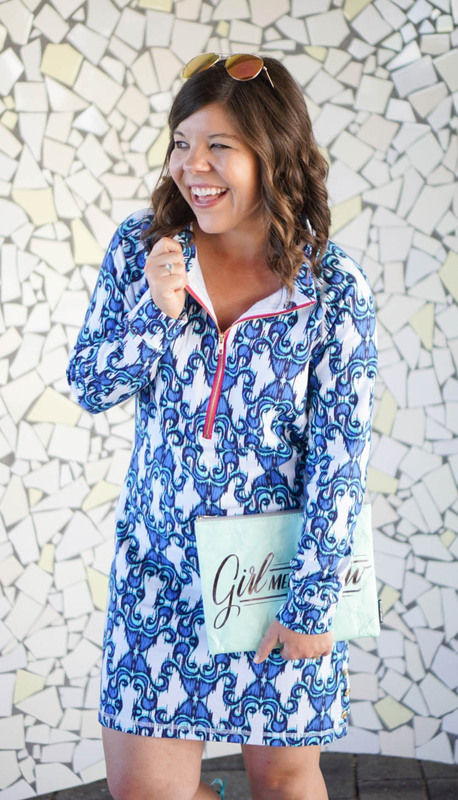 But seeing as it’s the end of the workweek, I’m super excited to share a brand that I love so dearly with y’all- and the HUGE opportunity that they are now offering women across the country! If you search “Tracy Negoshian” on my blog you will pull up SO many posts (like this favorite and this one too!) 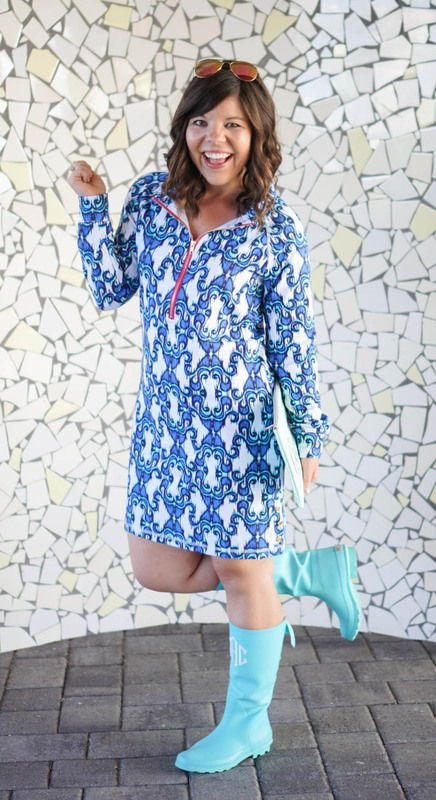 that feature Tracy’s happy and colorful dresses – right up my alley! 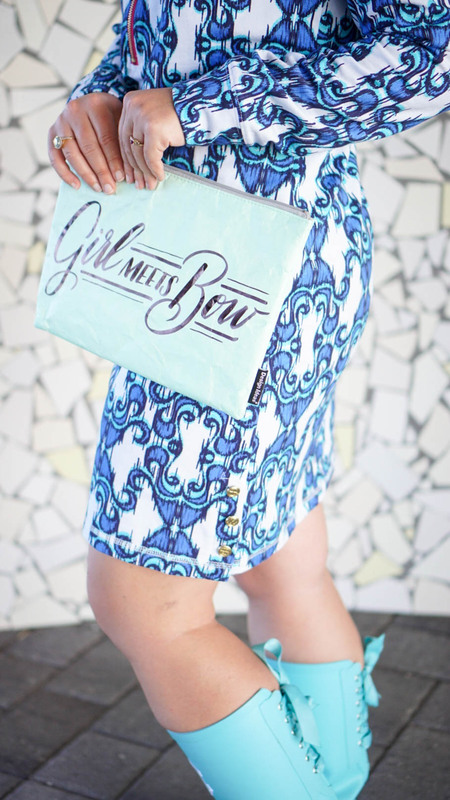 But what I love even more than her prints, is that Tracy herself is the ultimate #girlboss. Tracy saw a space in the market for colorful & affordable fashion and created her line from the ground up. Now Tracy Negoshian is carried in over 500 (!!) retail stores across the country. But once Tracy had her first son, Cooper, and started experiencing her “Little Red Wagon Moments” her desire grew to help other women achieve the same success in a flexible environment; thus, the TN Stylist program was born! The TN Stylist Opportunity essentially allows you to become your own boss (and lets be real, you’d be the best boss ever 😉 ) and, if your passionate about fashion, to build your own little fashion empire! You get to share clothes you love, with the people you love, while building a business and still making time for the things that matter most. Have I got you excited yet?? You can learn more about the TN Stylist opportunity here & make sure you use code “GIRLMEETSBOW” when you sign up- and then tell me all about it! You go girl! I love the minty teal boots with the dark navy dress! Thanks Ruth!! I’m so in love with these fun boots! 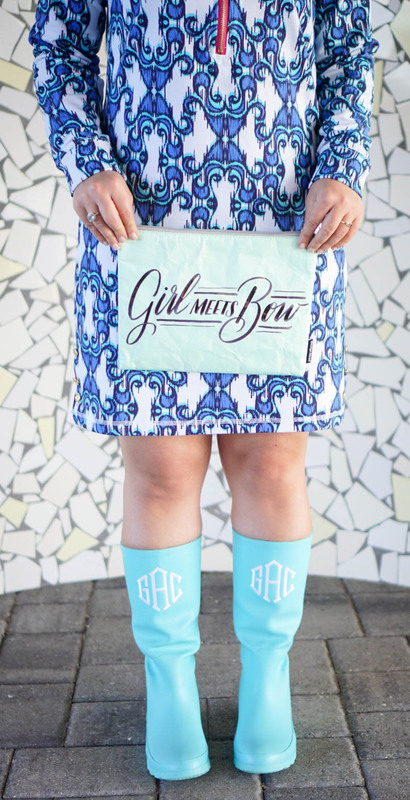 What a great line and your rain boots are the absolute cutest! Have a fabulous weekend! This outfit is so cute, Gentry! I honestly don’t think I’ve ever heard of Tracey Negoshian before, but I’m now on the website and am obsessed! You will love her designs-they are so cute! What an amazing opportunity! 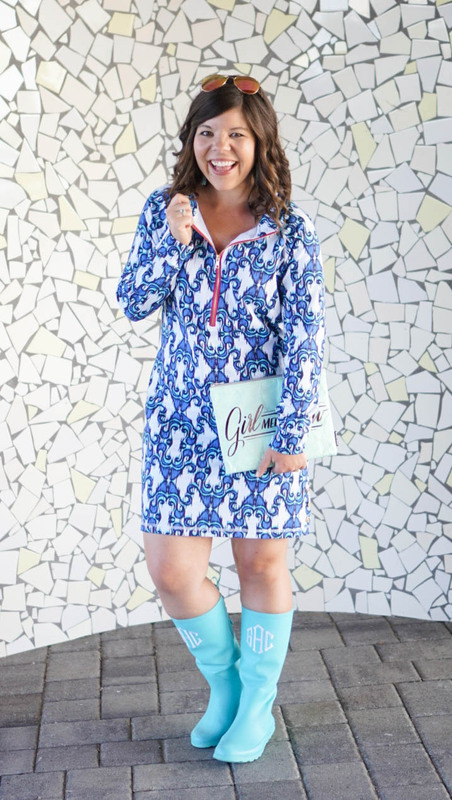 I love the dress it’s so pretty and I love the rainboots too! Talk about the ultimate #GirlBoss opportunity! 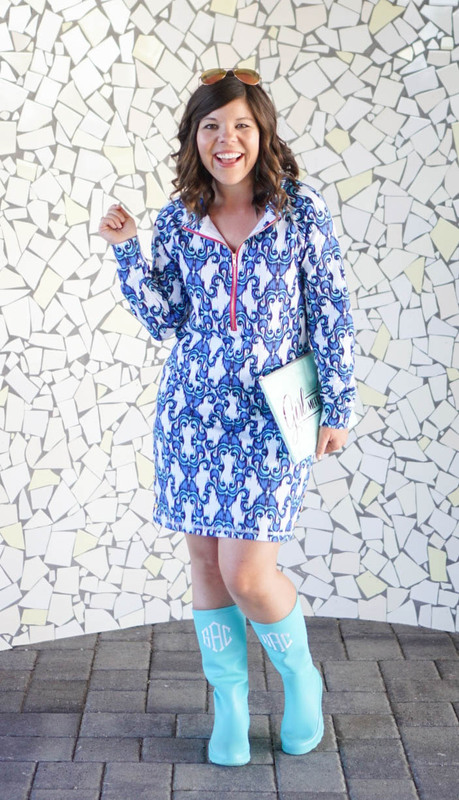 I love this outfit on you — blues are so cute and those boots are SO you! Love. I’m in love with your boots dear! Looks so perfect on you. Really chic and fun look!